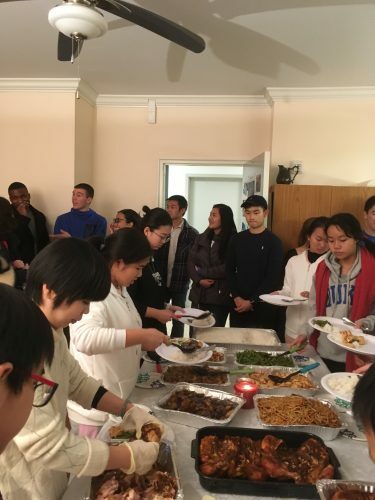 The DukeEngage-Zhuhai program has just celebrated its 10-year milestone with a now annual exchange visit from Zhuhai No.9 School and a standing-room-only alumni reunion. 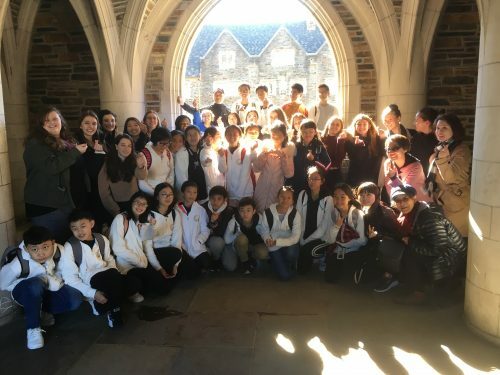 This year, the Chinese middleschoolers were hosted by an American middle school near Washington, D.C.
As always, the most awaited part of the Zhuhai No.9 students’ American exchange is when they visit Duke University and reunite with their DukeEngage brothers and sisters. The DukeEngage Zhuhai program partners with a Chinese middle school — Zhuhai No. 9 — over the summer to provide art education and English lessons with a focus on creativity, leadership development, self-discovery, and personal growth. The Duke students work as a team throughout the program at Zhuhai No. 9 school and generally teach 13 English classes a week consisting of choosing themes for discussion of the day. Duke students learn about flexibility and impromptu lesson-making as they must often adjust their plans according to each class. 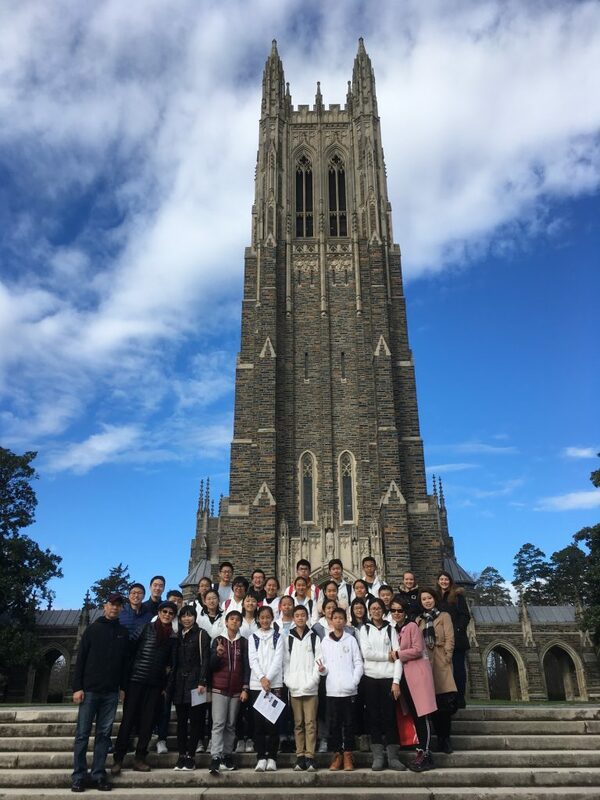 The Zhuhai No.9 students and staff visited Duke on January 20, 2019, and enjoyed a dinner event attended by DukeEngage alumni from 2012 up to 2018, as well as the upcoming DukeEngage Zhuhai 2019 cohort. A total of 75 people crowded happily into the East Campus apartment of program director, Hsiao-Mei Ku. This reunion showcases the way DukeEngage fosters relationships and allows for growth and continued contact between their summer experience and the rest of their career at Duke University.